Convenient house cleaning in London – this is one of our specialties! We, at Domestic Cleaning London, have an extensive experience in this particular field of professional cleaning services. 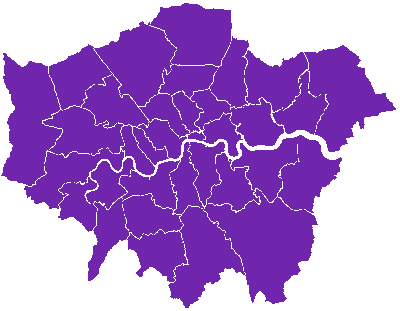 Plus, we have established ourselves as one of the most reliable, organised and client-centred cleaning businesses in the English capital. Let our honest and trained cleaners help you out and enjoy more free time. We like to be frank and open with our clients which is something that sets us apart from our competitors. We stick to this strategy when it comes to absolutely every aspect of our work. For example, we have no hidden fees and surcharges. Everything about our pricing is transparent and fair and that is not the only reason you can count on us. Our team consists of the some of the most seasoned and competent cleaning technicians in the industry. All of our pros are reliable and they can complete a home cleaning job of any scale quickly, safely and cost-effectively. Yes, our prices are hard to match, let alone to beat. Our regular prices kick off at barely £9 per cleaner per hour for bookings covering more than 6 hours a week. We also do one-off home cleaning and we charge just £12.5 per hour per cleaner. And we have got some more amazing news – every second appointment comes with a complimentary hour of cleaning! Simply said, the more you use our all-round house cleaning service in London, the more affordable it will get. As it was already mentioned, we can be booked on one-time or regular basis. The latter option can be scheduled for monthly, bi-weekly or weekly visits. For your convenience, we work 7 days of the week, 365 days of the year. Some of our dedicated teams of pros are on duty on weekends and national holidays. Therefore, it will not be a problem for us to come and clean your house every Saturday or on a bank holiday, for instance. Our work timetable is so flexible that we can even be booked for a thorough home cleaning after regular business hours. If you need an emergency solution, you can again turn to us. Our polite consultants can be reached at any hour through our 24/7 client care line. Also, same-day and last-minute bookings are just another normal part of the job for us. We have built our excellent reputation on the outstanding quality we offer. Our cleaners are qualified, punctual and trustworthy and the equipment that they use is professional-grade, modern and reliable. We, from Domestic Cleaning London, have a versatile collection of new-generation steam cleaning machines, floor polishers, extractors and more. The small details are of great importance to us since we are perfectionists. 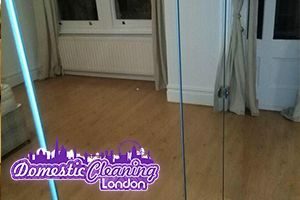 For us, nothing different but first-class quality domestic cleaning in London will do and that is why we strive to meet the highest possible standards through hard work, incredible dedication, precision and high motivation. Ask for our Ironing Services when booking any house cleaning service.